The Salomon Wonder is a pretty fun hybrid camber ride at a good price. It’s not a super forgiving ride so don’t think that this price point means entry level. It’s more for the advanced to expert rider looking for a good ride at a reasonable price. Approximate Weight: Feels normal for the size. On Snow Feel: It’s almost a full camber ride with only a little bit of early rise going on before the nose/tail. This makes this pretty catchy for a hybrid camber and it’s kinda in between hybrid camber and mostly camber. It has a somewhat locked in but poppy/carvy all mountain to all mountain freestyle personality to it. Edge Hold: Really good edge hold that borders on being something you can ride in icy conditions. 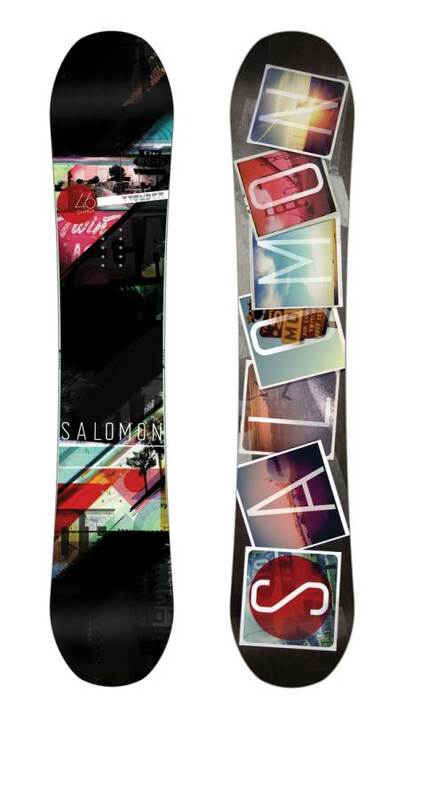 Salomon’s shapers seem to ride in all conditions and understand what makes a board good in harder conditions. Turn Initiation: Pretty quick edge to edge. Skidded Turns: Not ideal for intermediate riders that skid their turns a lot. It can catch if you don’t skid out properly or get off your game. Carving: Really fun to lay out turns on and Steph really enjoys it. Speed: It’s not the fastest base but the flex and overall ride handles a straight line on a big mountain well. It’s not going to blow minds but it does well for it’s price point. Uneven Terrain: Salomon isnt’ the best with the Wonder in uneven terrain and this is where it could use some work. 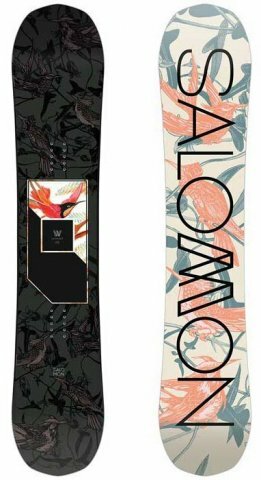 Powder: There is some rocker and a little set back on side cut as well as on board so you can get better float than you would on a camber equivalent but it could use a longer nose or a little more rocker or both to give it a little more directional float. Switch: It’s a directional twin but when centered it rides almost as well as a true twin. Jibbing: Not the best jibber but it’s doable. Pipe: Great pipe board. Super good edge hold and good camber to ride wall to wall. Steph wants this for her pipe wall riding. Jumps: Really good pop and this low cost board has some spring to it for an ollie. It’s also the kind of board that’s great for those that want to lap the jumps in the park. 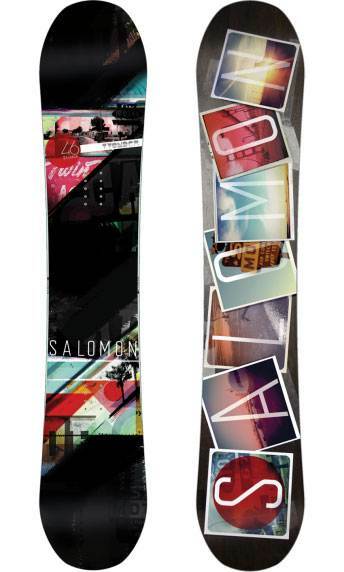 We try to get as many images of the Salomon Wonder, but forgive us if they're not all there.